Dr. Sharif and his team are waging a multi-pronged attack on the avian influenza virus. Of particular interest to Dr. Sharif, director of the Emergency Management Research Program at the school, is avian influenza. Commonly known as bird flu, the collection of viruses can wreak havoc on farmers’ flocks, the economy and potentially pose a threat to humans. Many of those viruses primarily affect birds, especially migratory birds, waterfowl and turkeys, and on their own do not usually cause disease in humans. But when they do, the consequences can be dire. The H5N1 virus, a bird flu that emerged during the late 1990s, has infected over 800 people globally in the last 13 years. Between 50 and 60 per cent of those infected died from complications caused by the virus. As tragic as that is, it could be a lot worse. After all, 75 per cent of emerging infectious human diseases originate with animals. And that’s Dr. Sharif’s focus. In the past few years, two groups of scientists have discovered that if the avian influenza virus goes through two mutations, it will become much more deadly to humans because it could be transmitted person-to-person, not only animal-to-person. That could trigger the next pandemic. The last pandemic, of Spanish flu, was in 1918, and killed more than 50 million people worldwide, including an estimated 50,000 Canadians. Indeed, if the virus that is currently circulating in Southeast Asia and North Africa were to mutate twice, “it could infect in the neighbourhood of a few hundred million people” says Dr. Sharif, with economic losses of more than US$2 trillion, the equivalent of a few countries going bankrupt. “The virus is of the utmost importance to public health,” he says. Dr. Sharif and his team are also using the immune system of the birds to curtail shedding of the virus to prevent it being spread. A virus has no power until it enters the host cell, which then becomes a sort of production line for the virus. 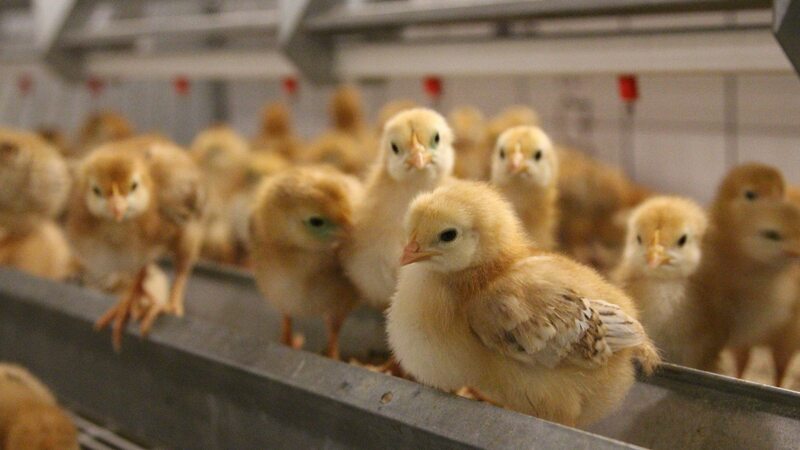 So far, Dr. Sharif and his team have been able to show that certain products derived from microbes can activate the chicken’s immune system to reduce replication of the virus inside the cell and hinder its ability to infect other cells. One such product is called an endotoxin, a complex molecule so powerful it could kill people, but in tiny amounts seems to enable chickens to become partially immune to avian influenza. This year has been quiet locally for avian influenza outbreaks. Last spring, outbreaks at two farms in southern Ontario were controlled with minimal damage. But outbreaks in the United States in 2015 were epic, causing a drop in poultry production of 15 to 20 per cent. Almost 50 million birds were euthanized or died, costing the United States economy an estimated US$191 million. “The problem with the influenza virus is there’s always that element of surprise,” says Dr. Sharif. Because avian influenza usually remains in the intestine or respiratory system of the bird, it’s not a food-safety concern. Rather, it’s a concern for the poultry industry, which is responsible for providing one of the most-consumed sources of protein in the world.